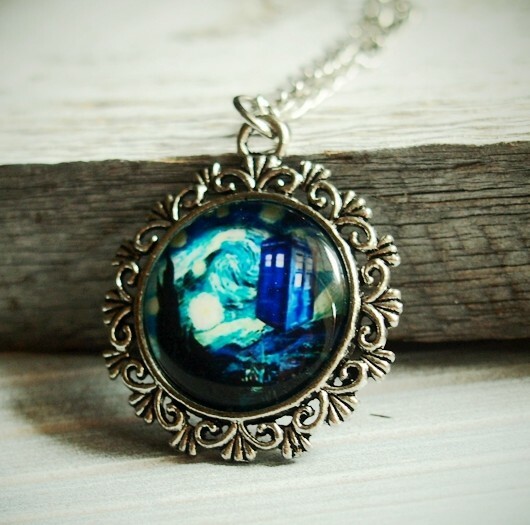 Tagged as Doctor who, Doctor who necklace, dr who jewelry, Dr who necklace, Starry Night Tardis Necklace, Tardis Gift, Tardis jewelry, Tardis necklace. 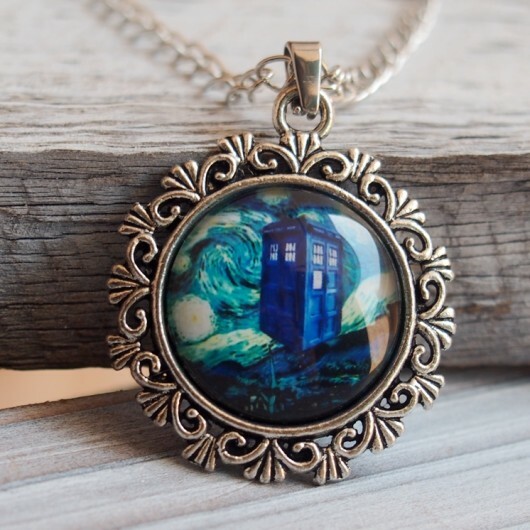 This is the handmade necklace, named doctor who. That is a play in USA. 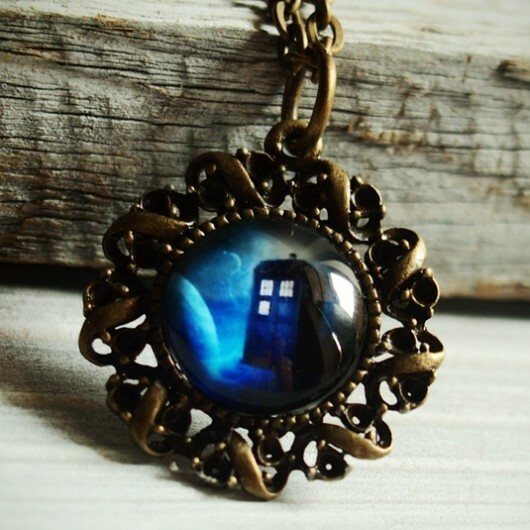 This doctor who necklace is in bronze color. 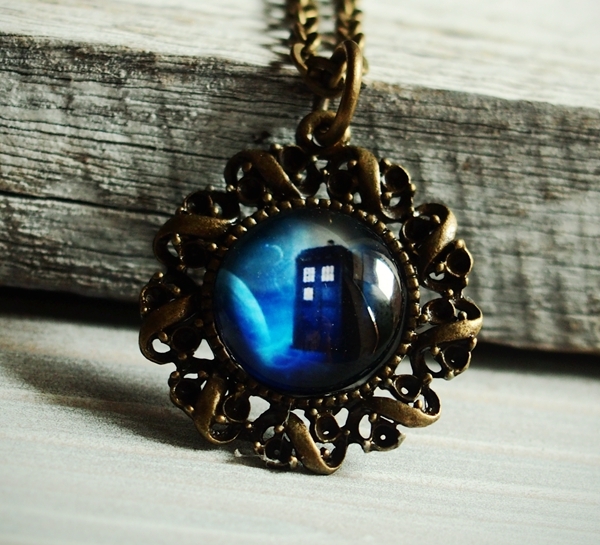 And the face is a round glass at 14mm diameter. The doctor who necklace is hunging a bronze chain from 14″ to 20″. 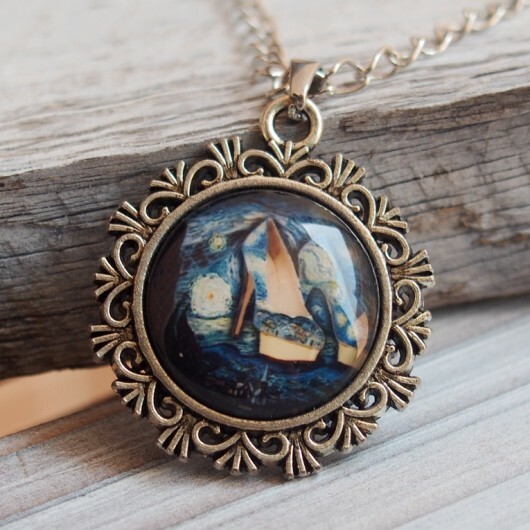 The dark blue color in the round glass is very nice! About shipping, we ship to USA, by USPS, 4-6 days to your hands. To elsewhere, we ship out by HK air post, 7-10 days to your hands.